LEAP! 2019 was a success! We're excited to say that this year we raised over $72,000 for our Horizon's Unlimited Food Shelf and Youth Leadership Development Program! 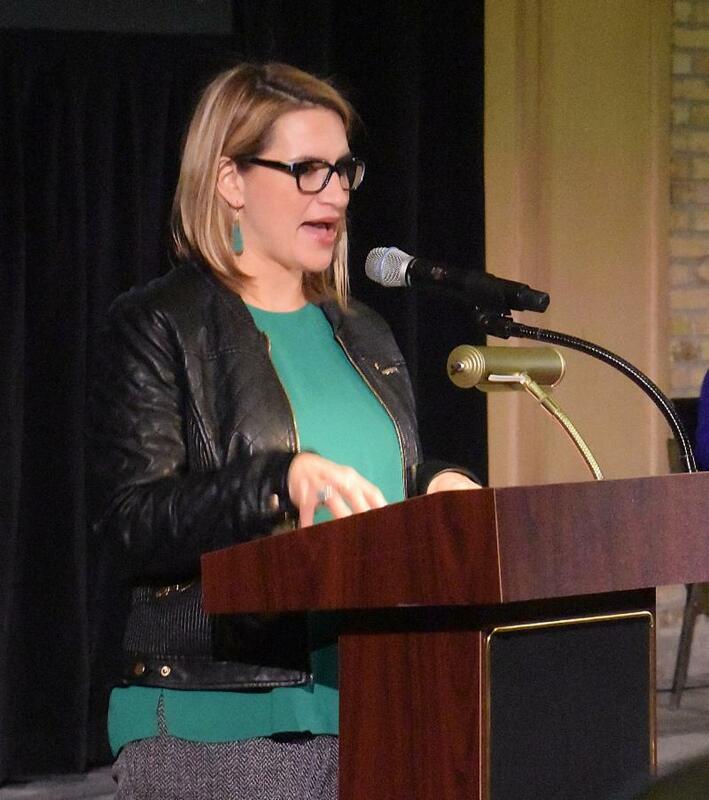 Our keynote speaker for the event was Lieutenant Governor Peggy Flanagan. 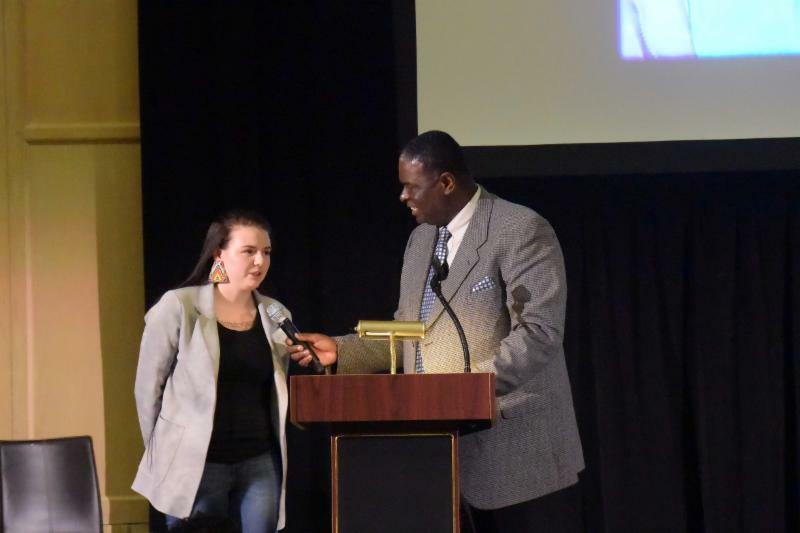 WCCO reporter Reg Chapman was the Master of Ceremonies for the event, which featured a silent auction, live auction, Fund-A-Need Pledge opportunity and included a Native drum group and hoop dancers for entertainment. Over 300 people attended this year's event, located at the International Market Square in Minneapolis. 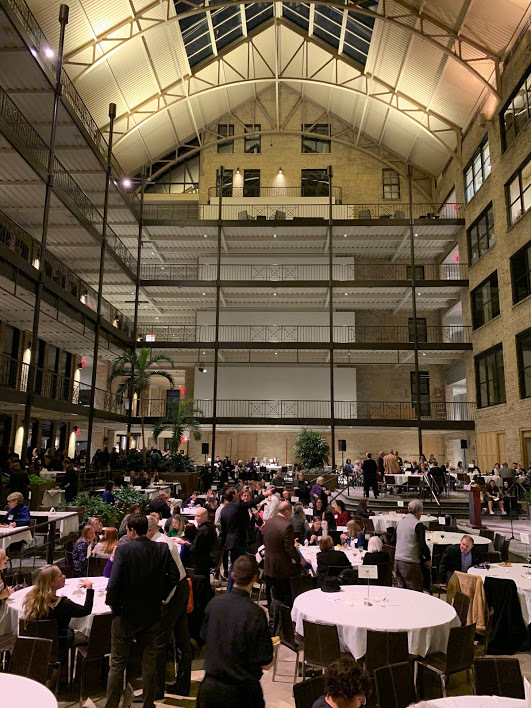 Thank You to the many table hosts, guests, and volunteers, including our LEAP committee and LEAP chairs Marisa Carr and Janis Hardy, who helped make this year's event a major success. For many years, St. Luke Presbyterian Church has been partnering with DIW. 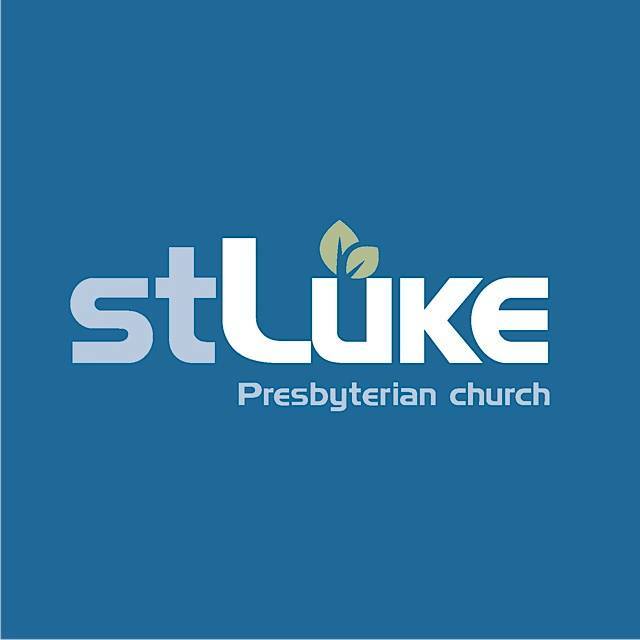 We would like to take a moment to recognize and thank St. Luke Presbyterian Church for their continued support and generosity! St. Luke has a long history of involvement with and support of the American Indian community. 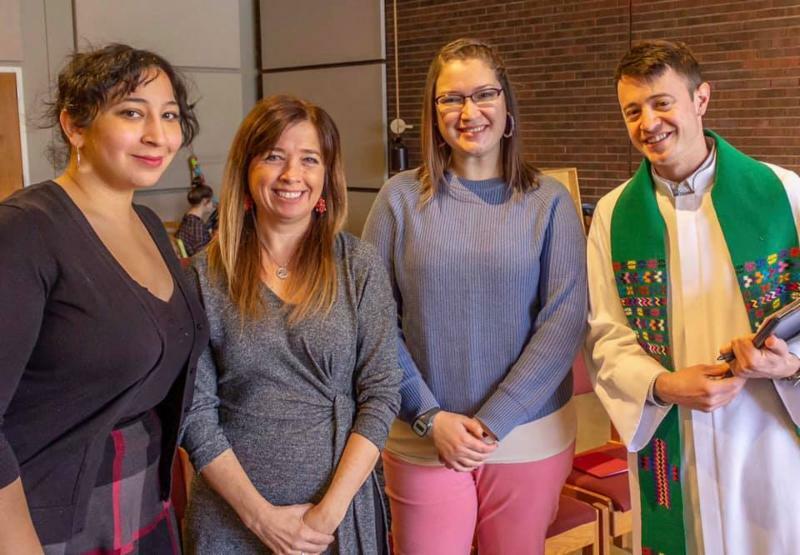 The church has a strong social justice concern and focus and this focus prompted their relationship with the American Indian community starting back in the 1970's with the rise of the American Indian Movement. They have continued to show support to the American Indian Community by establishing relationships with urban and reservation communities. St. Luke has donated countless hours of service on the DIW Board of Directors and committees of the Board. Along with annual donations, they've donated their locally grown food to our Horizon's Unlimited Food Shelf; donated appropriate winter clothes and outerwear for the recent encampment; donated supplies for DIW's backyard garden; donated money for new computers for our Youth Leadership Development Program (pictured above); and are continuous supporters, attendees and committee members of our annual LEAP! event. Along with these contributions, St.Luke strives to help their own community learn more about American Indians and build more connections by inviting DIW's Executive Director Louise Matson (pictured below) and other staff (inlcudig Marisa Carr and Takayla Lightfield pictured below) to the church for informational forums and educational presentations on American Indian culture and some of the issues that American Indians face. 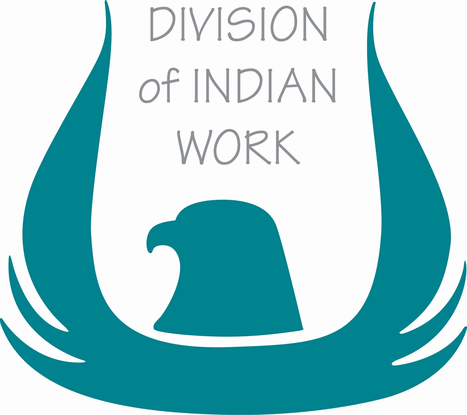 Because of all of this and more, we would like to graciously say Thank You St. Luke Presbyterian Church, for all that you have done and continue to do to help DIW and the American Indian community! Just in time for winter!  In early December we were able to replace our HVAC systems. This is thanks to generous grants from the Butler Family Foundation and Shakopee Mdewakanton Sioux Community! With a grant from the Shakopee Mdewakanton Sioux Community, we handed out hams and turkeys to families and elders in the community for two days in November and two days in December for Thanksgiving and Christmas. 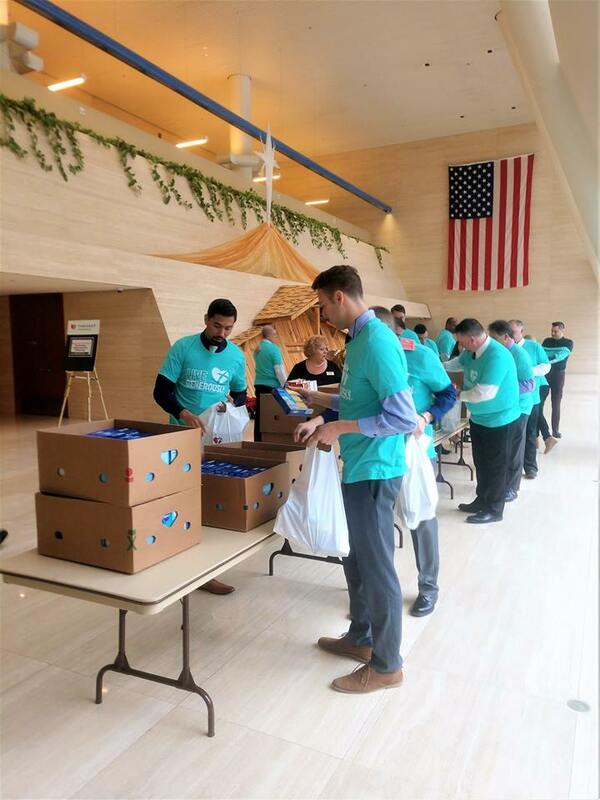 Grocery bags filled with food, donated from Thrivent Financial (pictured to the right), were also given to families and elders as part of this celebration. All bags included side dishes such as green beans, corn, a cake mix and frosting, and instant potatoes. Over 450 hams and turkeys with grocery bags of side dishes were distributed as part of this effort! 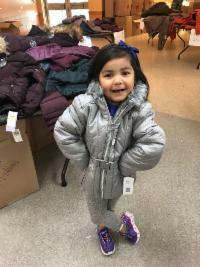 Division of Indian Work, along with the Minneapolis Indian Education Department, held our annual coat drive on Tuesday, October 23, 2018. 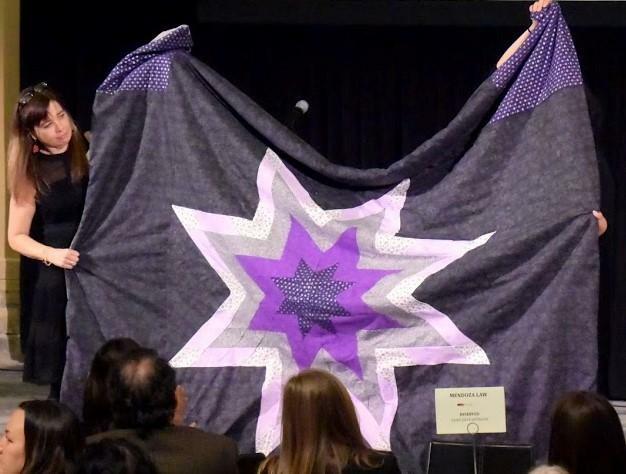 Coats were provided to children who are currently enrolled in a Minneapolis public school, including Anishinaabe Academy. 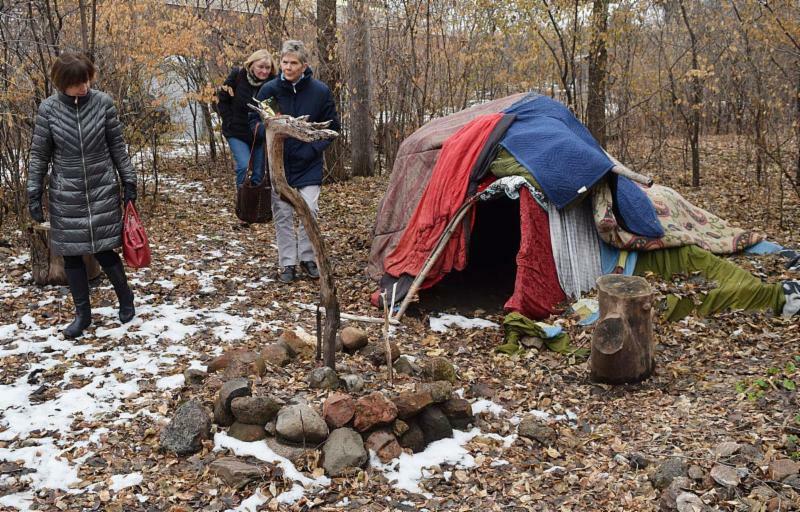 The coats were provided with grant money from the Shakopee Mdewakanton Sioux Community. Over 500 coats were distributed as part of this effort! This April, DIW will be a recipient of MN Food Share's Community Giving Roundup program. Make sure to do some shopping at Lakewinds Food Co-Op this April, where they will be donating the extra cents to DIW when you round up your purchase to the next dollar amount! 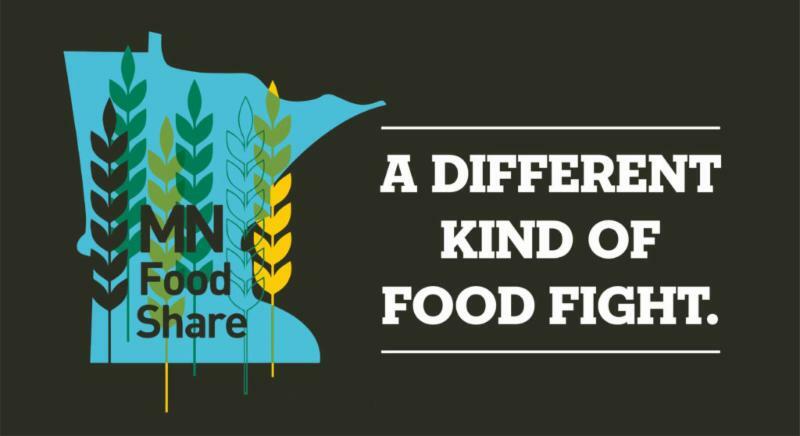 The Food Shelf Manager is responsible for managing the food shelf’s daily operations, including building and maintaining relationships with volunteers, food distributions, ordering food, food rescue, and food delivery. The Manager recruits, interviews, and manages food shelf volunteers and interns, while improving the efficiency and effectiveness of food shelf operations. This is a .5 non-exempt staff position at the Division of Indian Work in partnership with the City of Minneapolis Department of Health. The Coordinator will lead the doula program. The Ninde doulas will provide emotional, physical, and spiritual support for forty women while they are pregnant, during the birth, and after the baby is born. 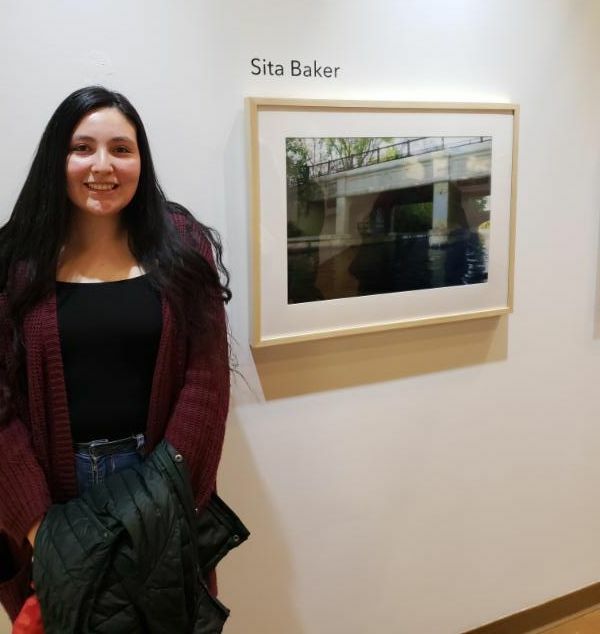 Two of our YLDP students are featured in the Connection Art Exhibit at the Two Rivers Gallery presented by the Minnesota Historical Society through the Mazinaakizige: American Indian Teen Photography Project. 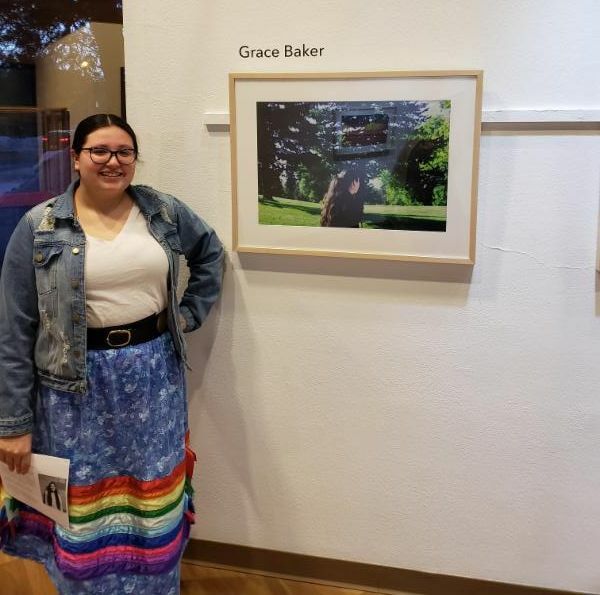 The exhibit runs from February 15- May 10, 2019. The students are Sita Baker (age 16, pictured left top) and Grace Baker (age 15, pictured left bottom). Several of our youth from YLDP were recognized at the Native American Achievement Celebration on Feb. 13 th . Wicahpi Thompson, Mato Thompson, Tamia Rodriguez, Breanna Goose, Midnite Neadeau and Eternity Neadeau. We're also excited to announce that we now have a computer lab thanks to generous donations from St. Luke Presbyterian Church, Stephen Rivera, and Helen Meyer! We have openings in our teen program! For more information our program number is 612-279-6320. 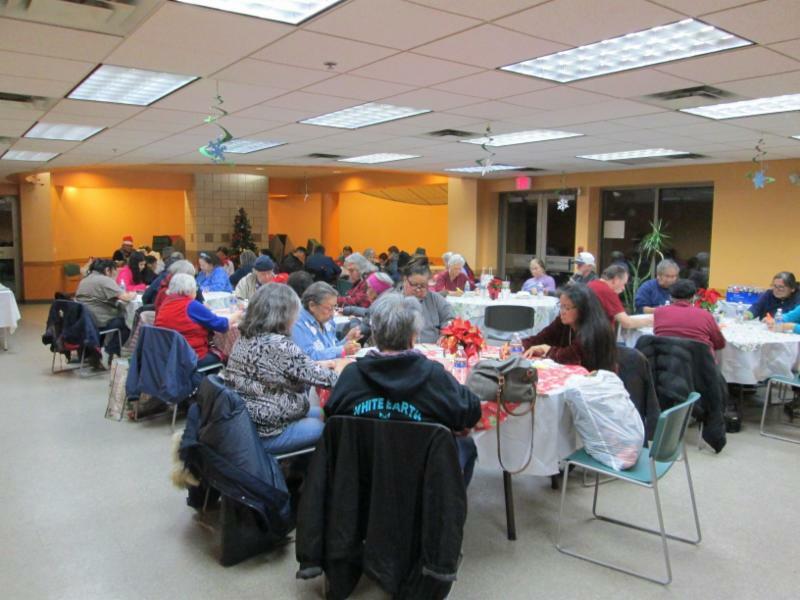 DIW held our annual Elders Christmas Dinner (pictured right) on Thursday, December 20th, 2018 in the Dakota Lodge. Elders played bingo for great prizes and were treated to a delicious dinner of wild rice soup, sandwiches, and other snacks. Gifts were donated by Allina Health. The meal was served by youth who participate in DIW's Youth Leadership Development Program and prepared by chef Nathan McGinley. The youth in the HTHP program have been busy these last few months! 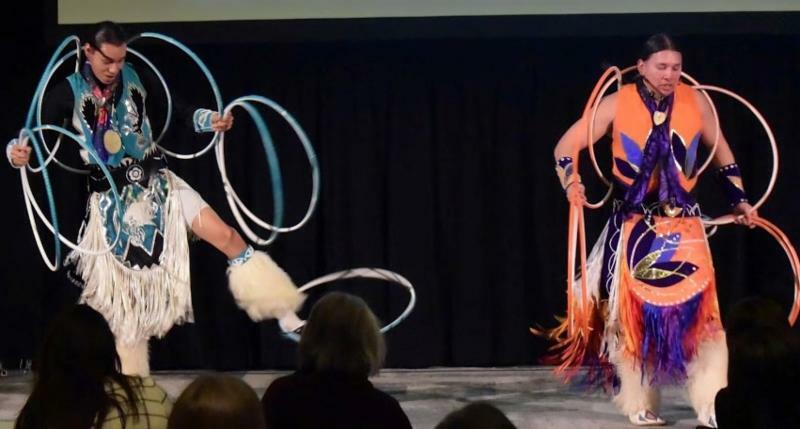 Along with their regular programming, they have been involved in many different activities, including hoop dancing at the Minneapolis American Indian Center. 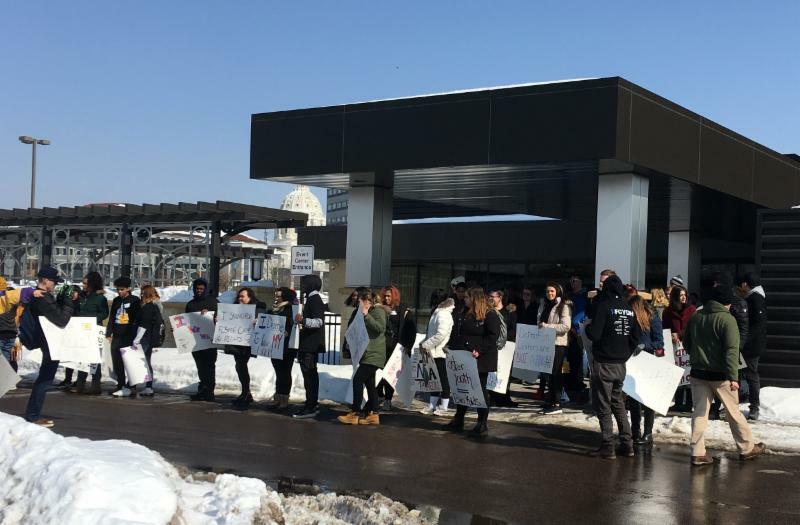 On Friday, March 8th, 2019 they attended the Foster Child and Youth Day on the Hill (FCYDH) where they attended and participated in the community meeting and rally(pictured left top). 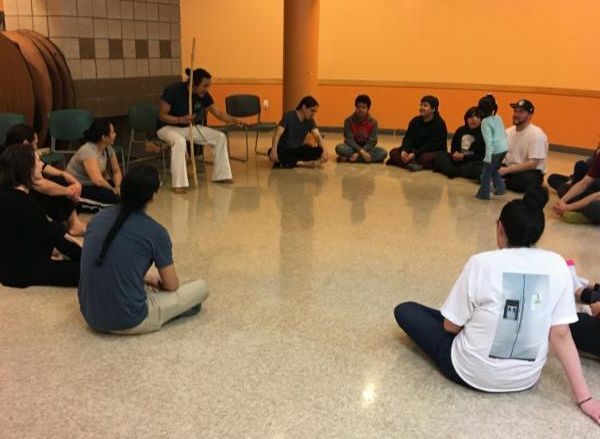 On Thursday, March 14th, 2019 they participated in Capoeira held at DIW(pictured left bottom). Capoeira is an Afro-Brazilian martial arts that combines dance, acrobatics, and music. What a night! The Parent Support Outreach Program (PSOP) works with families with children age 10 or younger to help get connected with resources and work toward any goals the family is looking to achieve. Our home visitor will meet with you regularly to discuss any issues or barriers and problem solve to find ways to overcome them. 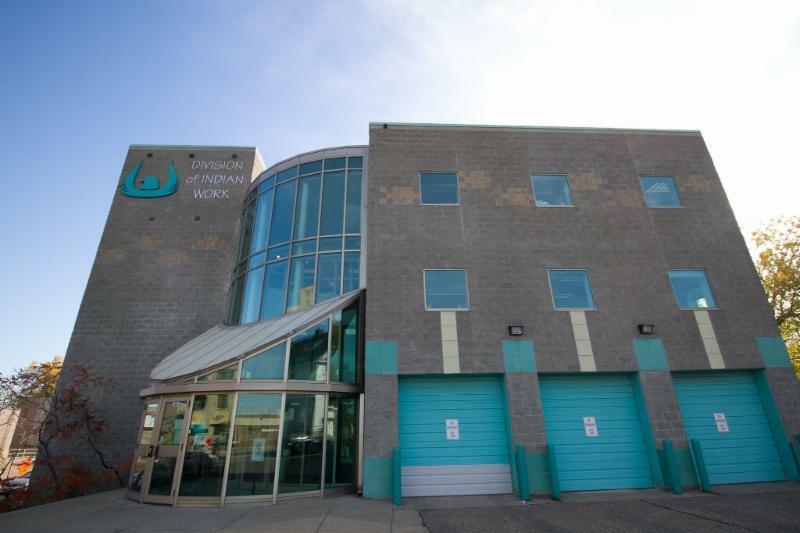 This can include, but is not limited to, searching for housing and jobs, connecting with mental health resources for parents and children, parenting education, going back to school and finding job training. If this sounds like a program you or someone you know would be interested in, please fill out these forms: https://www.hennepin.us/…/psop-print-application-apr-2018.p… and email them to PSOPnewreferrals@hennepin.us and a worker will be in contact with you as soon as they receive your referral. *please note: the family can not have a current Child Protection case open at the time of the referral.